Revolution Porsche are delighted to announce that we are now an authorised reseller for Zunsport, the specialist stainless steel car grille company. 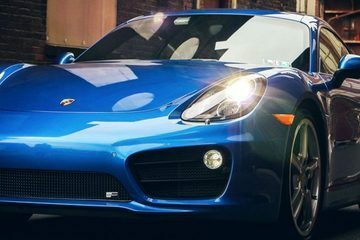 The Zunsport range of grilles have proved popular with Porsche owners due to their stylish appearance, while we are happy to recommend them to our customers because of the practical benefits they offer. The grilles are made from high-quality stainless steel wire mesh and, depending on which model you own, can replace the original front grille and/or be fitted to the front air intakes, the side vents and rear bumper. They provide an excellent level of protection from one of the most common problems we encounter at our Brighouse workshop – damaged or corroded coolant radiators, heat exchangers and air-conditioning condensers that need to be replaced. 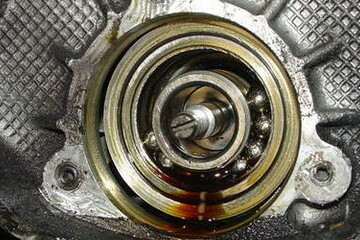 Most examples of this are caused by stone chips or leaves and dirt being sucked in through the air intakes and then being left to rot around expensive components, accelerating the corrosion process. Zunsport grilles are designed to protect you Porsche, as well as enhance its appearance. Fitting Zunsport grilles is a simple and hugely effective way of avoiding this costly issue on your Porsche, as the mesh prevents leaves getting into the air intakes and acts to deflect stones and other debris thrown up from the road. As grilles have to cope with stones, they need to be hardwearing. Zunsport are so confident in the durability of the stainless steel wire mesh they use, they guarantee their grilles for the life of your car. Zunsport designed the grilles to be simple to install, but if you would prefer a Revolution Porsche technician to fit them, we can do it from as little as £25+VAT, depending on the number of grilles and the model of your Porsche. Contact us on 01484 717342 or via the website for a quote or more information about Zunsport grilles for your Porsche.